- Material: Natural, Neoprene, Nitrile, HNBR, SBR, Silicon, Viton, Polyurethane, Hypelon, Butyl, Polyacrylic, Ethylene Propylene Diene Monomer (EPDM) etc. We are counted amongst reckoned names in the industry, committed towards manufacturing, trading and supplying a broad gamut of Rubber Seals. We manufacture an seal which are fabricated using premium quality natural rubber and silicon rubber. These seals protect from dust particle and are available in varied specification. We offer to our clients, high quality rubber seals which are widely used in the automobile industry. These rubber seals prevent the leakage of oil from an automobile part to enhance the overall performance rate. - Widely acknowledged in various industries including electrical, automobiles and electronics. We are engaged in providing a wide range of Rubber Seals to our clients. Catering to the requirements of our clients, we are involved in offering Auto Rubber Seal. Enriched with years of experience in the industry, we are engaged in offering Auto Rubber Seal. Our rubber seals avoids leakage from the automobile and enhances its performance. We offer rubber seals in diverse range and dimensions in customized rubber seals as per customer’s specifications. 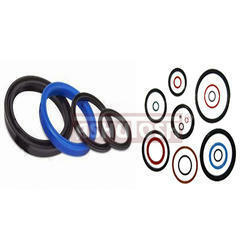 These rubber seals are available at industrial leading price. Wide range of rubber seals offered to clients have got extensive usage in the automobile industry. These rubber seals are used to prevent leakage of oil from automobile and thus results in improving its performance. Our range of products is highly appreciated by our clients for its optimum quality and excellent performance. In order to cater to the client. We manufacture Auto Rubber Seals which are fabricated using premium quality Auto Rubber Seal. 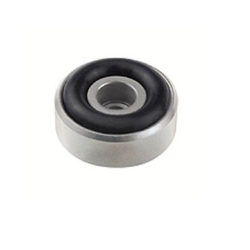 These seals protect from dust particle and are available in varied specification.These are properly manufactured to endure elevated pressure and temperature condition. Provided collection is checked by our quality inspectors. - We manufacturer a wide array of Auto Rubber Seal which is appropriate for applications in the automobile industry, this array includes Engine Mounting, O-rings, Bellows, Oil Seals, etc.